At the supermarket, you grab a pound of ground beef, a packet of taco seasoning mix, some ready-made taco shells and some lettuce, cheese and tomato. Then you go home and make passable tacos! We have all done it. But have you noticed that most of the restaurants that serve tacos used shredded beef? Beef may be beef but they don’t taste the same. Perhaps it has something to do with mouth texture. A common cut of meat for shredded beef is the brisket. Once it was a less than desirable, cheap cut. But with the rising popularity of barbecue and fajitas, it has become a sometimes hard-to-find premium meat with prices to match. There are usually a lot of corned beef briskets but at a lot of markets you have to ask the butcher for the plain brisket they sometimes keep in the back If you can’t find a brisket, or it is bigger than your pocket book, a small, lean roast can be used to make excellent shredded beef. 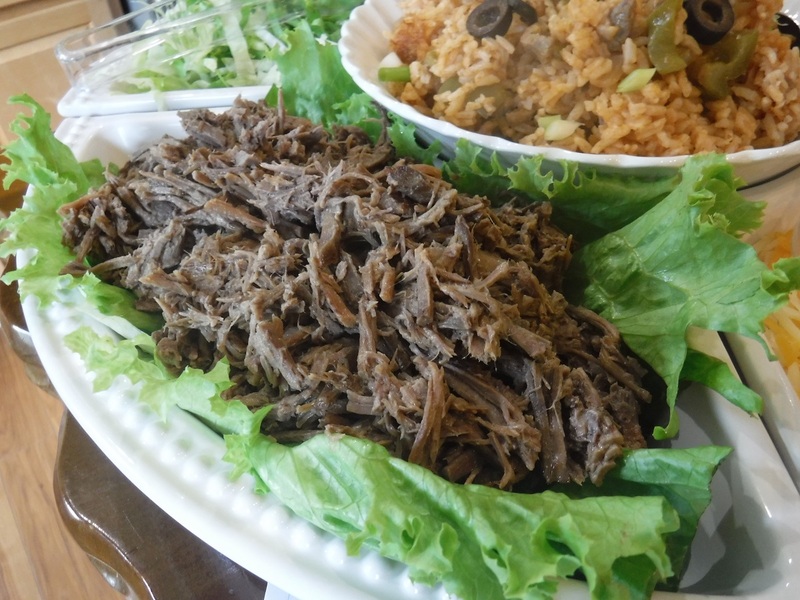 For your next taco party, try the shredded beef instead of the ground beef. You just might find the added effort is well worth the while. 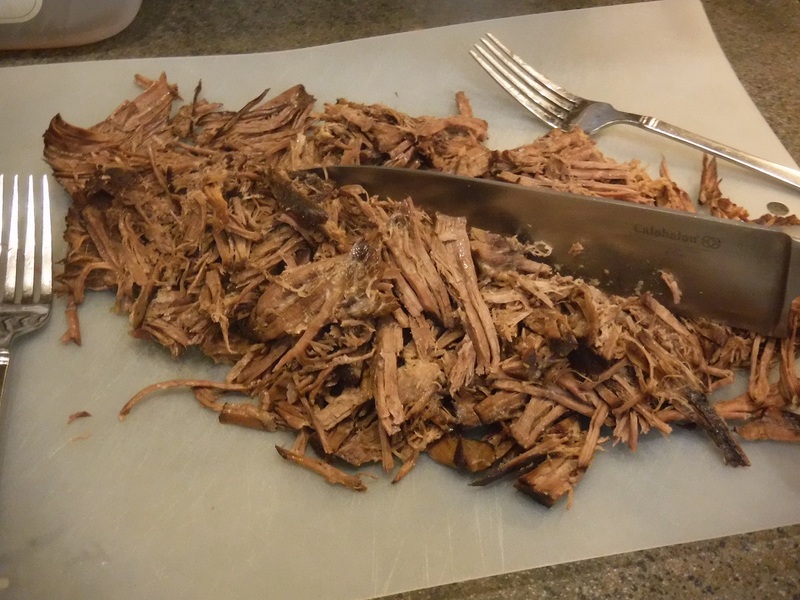 To make the shredded beef, you are braising the meat until the connective tissue breaks down and the meat fibers can be pulled apart. The longer the grain of the meat in your cut, the longer will be the fibers when you pull them apart. 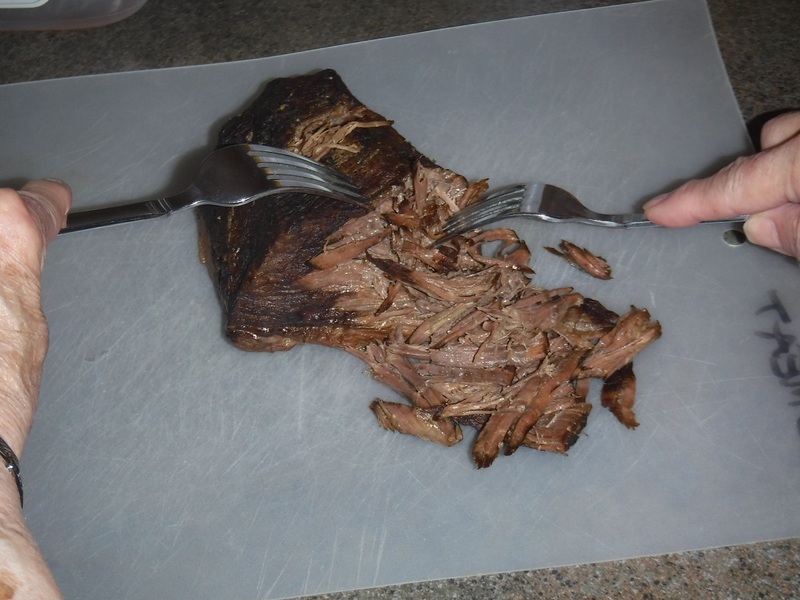 If you use a roast, cut across the grain before pulling apart with your forks or after, chop the pile of shredded meat. Once, long ago, on an extended stay in Mexico, I have watched the señoras cook beef for shredding. Usually they only add a bit of salt. I like to add a bit more flavor and add the onion, chiles and spices. After the meat has cooked tender, the women pull it from the pot and fingertips calloused from taking cooked tortillas right off the hot griddle pull the meat apart and make the shredded beef. I use forks after letting the meat cool to a safe handling temperature. You can also use a pressure cooker. Add just enough oil to cover the bottom of the pressure cooker. Heat over medium-high heat. Add the meat and brown on all sides turning as needed. Remove from the heat. 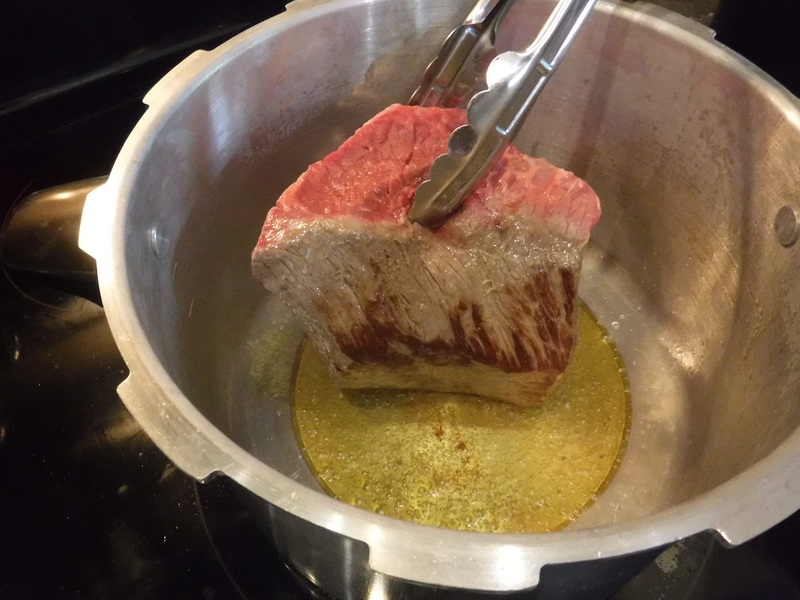 If you have a spacer, place it under the meat to keep the meat from touching the bottom of the pot when heating. No spacer? Don’t worry! It will still come out very good. 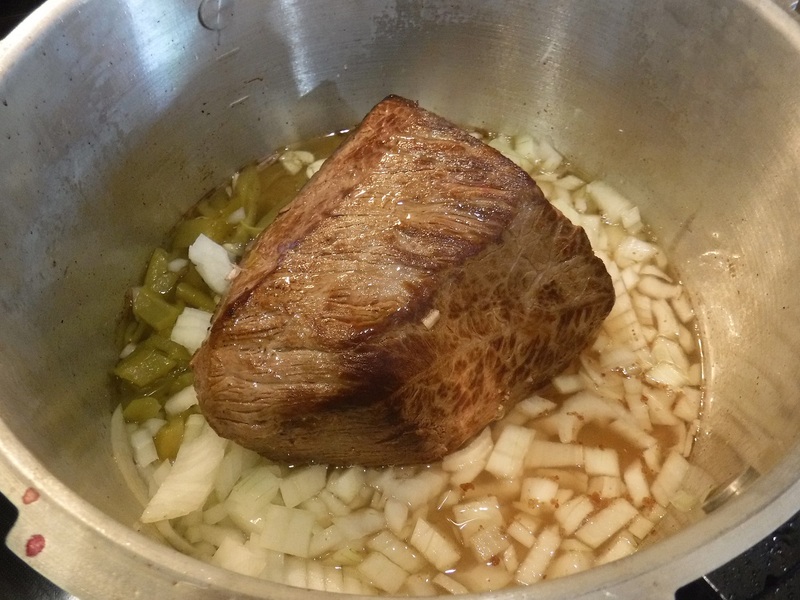 Add the vegetables and seasonings around the beef and add the beef broth. Cover and cook following your pressure cooker handbook instructions. After reaching cooking temperature cook for 20 minutes per pound. Allow to cool naturally, do not vent. Remove meat from pot and allow to cool to safe handling temperature. Set aside some of the cooking liquid. The shredded beef dries quickly in the open air. Use the reserved cooking liquid to moisten the meat as desired. The remaining cooking liquid can be used for soup or other uses as desired. Use 2 forks, one in each hand, as claws, to pull against the neat. It will take 5 to 10 minutes to shred a well-cooked brisket. If the fibers are too long, cut through the pile a few times with a knife. Use this meat in place of the fried ground beef to make your favorite southwestern-style dishes.